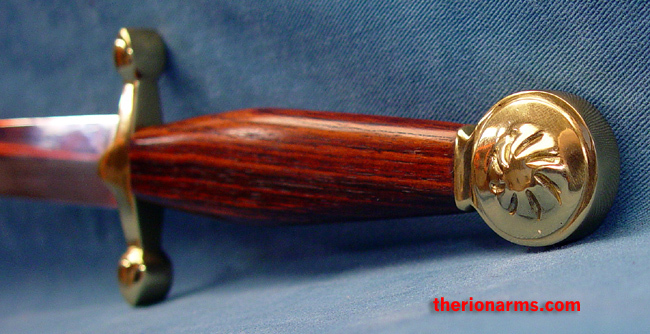 grip and pommel: 5 1/8"
Ah, medieval reenactment. Fighting, Feasting, F ... um Fighting some more, then Feasting. It's rather uncouth (not to mention ungainly and unsanitary) eating with a fighting knife, so for those times there are feasting daggers. This dagger is also a good every-day carry all-around utility knife. 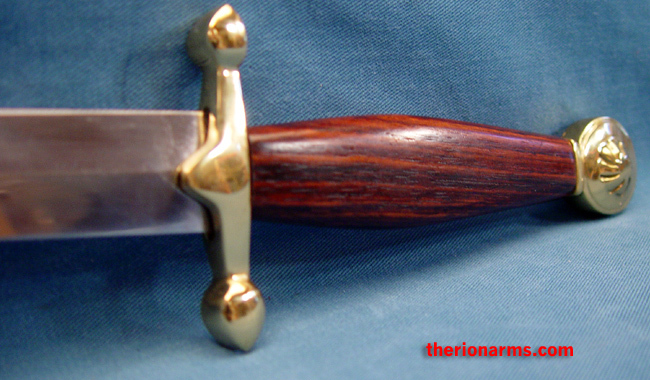 1095 high carbon steel blade, brass fittings, polished hardwood grip, leather sheath with brass fittings.